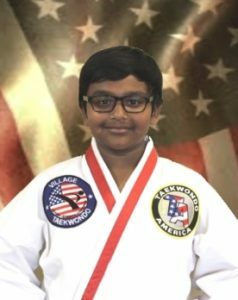 Mr. Nikhil Kasam began studying taekwondo with Ms. Thompson at Hilliard Taekwondo. After moving to Powell, OH, he continued his training at Village Taekwondo. Mr. Kasam became a black belt in the summer of 2016. He earned his Level 1 Instructor Certification in the spring of 2017.